Grown by Montgomery County local farmers, this malt is available in limited quantities. Great for your seasonal wheat beer! Grown by our partner farmer in Montgomery County, MO, this malt is in stock and wonderfully aromatic. Fully modified and lightly kilned, Rouge Knees is great for your local seasonal wheat beer! New product! Bombshell Bette TM joins the Gateway house malt series. As a tip of the hat to 1940’s bombshell starlets, Bette is certain to be one of our most stunning pale malts. Locally source barley is malted and kilned in Montgomery County, Missouri to a 2.7 SRM for more robust flavor and aroma profile. With excellent friability and extract potential, Bombshell BetteTM will be a brewer favorite. Call to check availability now. First in our new series of signature Gateway house malts, Whisper Sister MaltTM, embodies its name from a woman who ran a speakeasy during prohibition. Whisper Sister is sweet and bold, pale and not too showy, but sure to impress. Fully modified and kilned to a pilsner spec, Whisper Sister shows her chops as the malt in gold medal winner, Mango Milkshake IPA of Kansas City Bier Meisters 36th Annual Homebrew Competition by our friends at Fourscore Brewing’s Lincoln Purvis. A plump, six-row barley that presents more like a Pilsner malt. 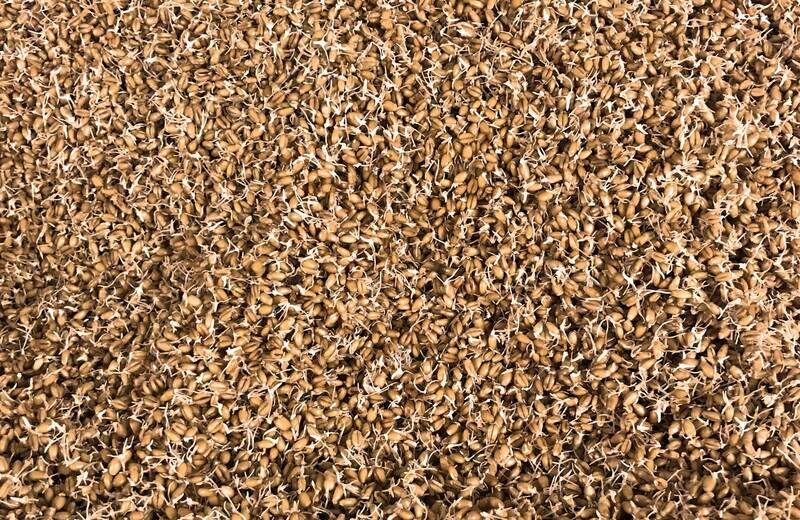 You can expect a fast conversion rate with this malt’s high enzymatic power. Limited production run. A standard, fully modified malt with good flavor. Ideal for Farm-to-Tap local craft beer, this barley has been locally sourced in Missouri and malted in Missouri. Grown by a Morgan County local farmer. For a truly local product, call for availability and price today. Unmalted Soft Red Winter Wheat – Cleaned, sized and ready for your mash. Copyright Gateway Custom Malt 2019. All Rights Reserved.